The content of this image may be disturbing or offensive to some viewers. 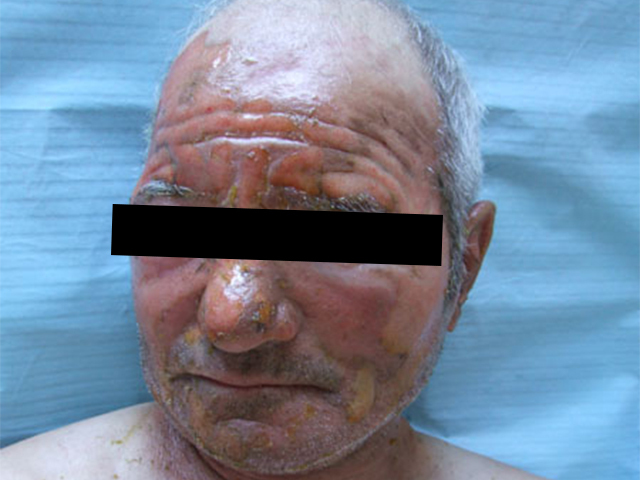 Patient D.M., 75 years old, male, from rural area, with diabetes and cardiac diseases, presented for a 24 hours old burn, on his face, IIb degree, produced by flame. 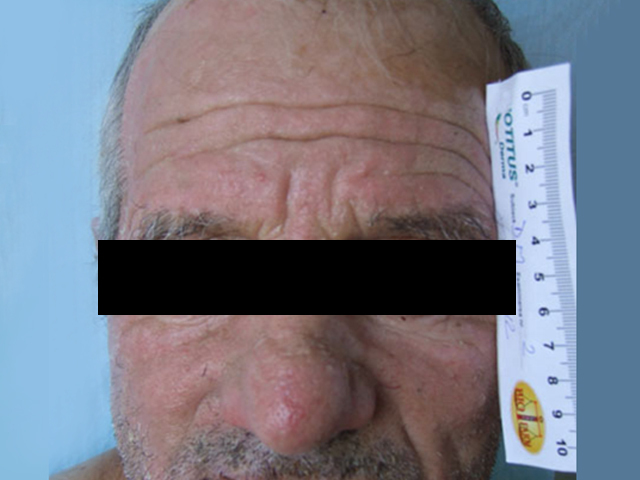 The initial burn’s surface was, 250 cm2, after 7,5 days of treatment – it was reduced by half, and following 15 days of treatment, the burn was fully healed.